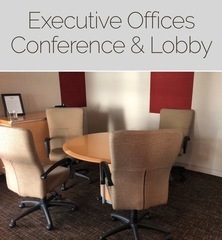 M21980 Mid-Atlantic home builder is relocating and will liquidate executive and administrative offices, conference, training and lobby furnishings. JV Partners with OLS/7329). AUCTION CLOSING DATE: Tuesday, April 16th, at 12:07 pm Bidding closes on the first item at 12:07 pm, then closes at the rate discussed in these Terms and Conditions of Sale.